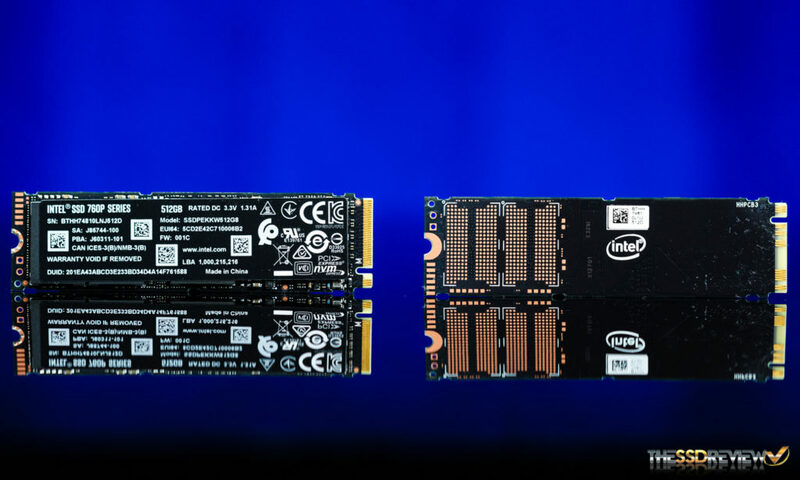 Intel has just expanded their 3D NAND infused product portfolio with the release of three new SSDs, the Intel SSD 760P, Intel SSD Pro 7600P, and the Intel SSD E 6100P. 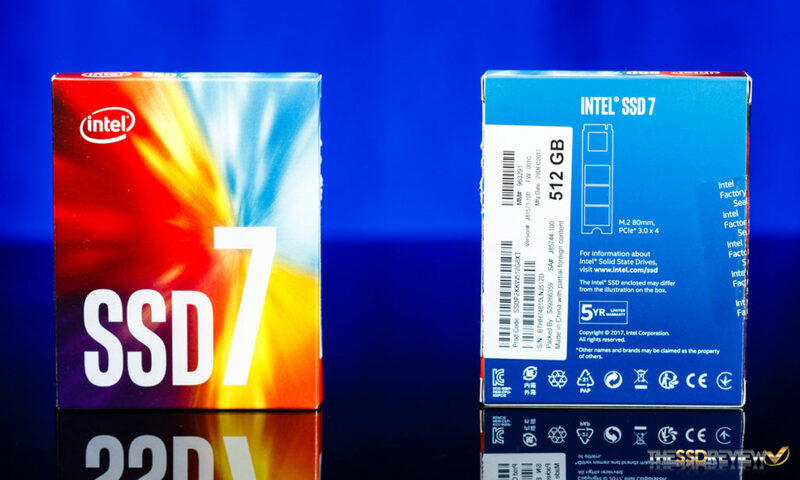 The Intel SSD Pro 7600P and Intel SSD E 6100P are built for business and IoT applications, but the focus of today, for us at least, is the Intel SSD 760P. It is the latest consumer SSD on the block and after having it in our hands for the past week, it looks like it has a lot going for it thanks to its new 64-layer 3D TLC NAND. 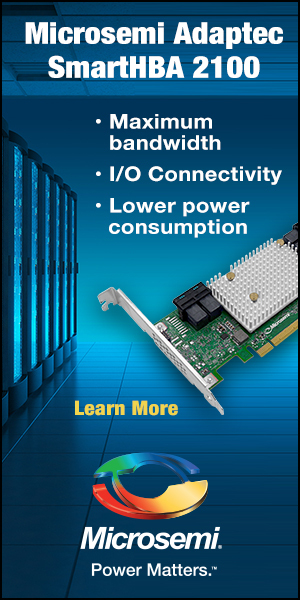 This new NAND is optimized for capacity and cost. It allows for up to 20% more areal density, which results in more GB per wafer, which in turn keeps cost down for the consumer. It’s not quite as fast nor as expensive as the Intel Optane powered 900P, but it will easily deliver twice the 600P’s performance while consuming half the power for nearly the same price. 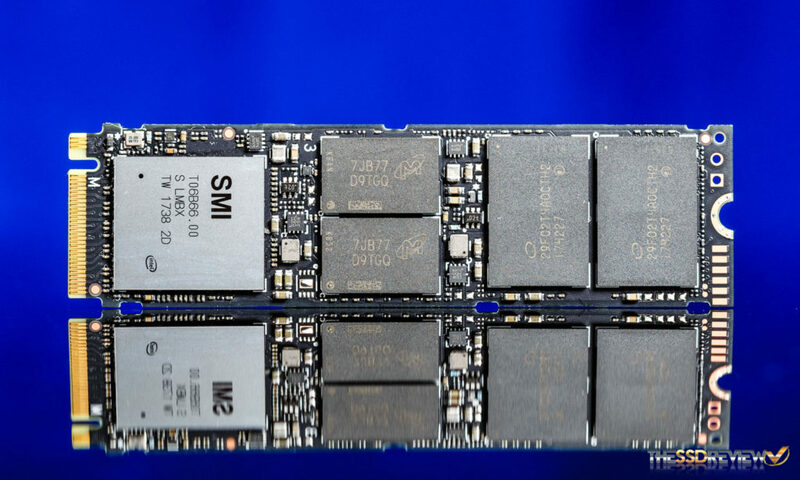 With speeds of up to 3.2GB/s read and 1.6GB/s write coming from this small M.2 2280 form factor NVMe device and MSRPs that are within 10% of Intel’s own SATA devices, it looks like the Intel 760P is poised to take the mainstream market. 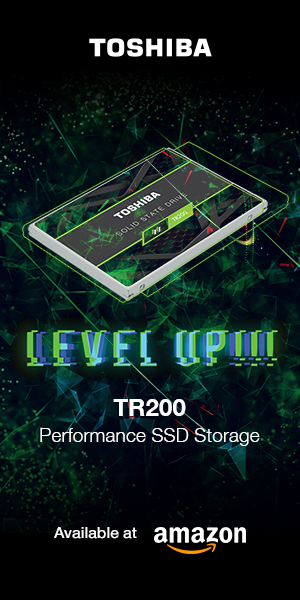 Read on to find out if this new SSD is the one for you. The Intel SSD 760P is a PCIe 3.0 X4 NVMe SSD that is available in an M.2 2280 single-sided form factor for capacities up to 1TB and double-sided for the 2TB model. Capacities will be available in: 128GB ($74), 256GB ($109), 512GB ($199.99), 1TB, and 2TB. Only the 128GB to 512GB models will be available at launch. 1TB and 2TB models and pricing will be released later in Q1. Furthermore, it offers sequential read speeds of up to 3230MB/s and sequential write speeds of up to 1625MB/s. It also offers 4K random performance of up to 340K/275K IOPS read/write. Intel always builds reliability into their products and this one is no different. The endurance is rated at 72TB per 128GB and it will boast a 5-year warranty just like Intel’s other PCIe SSDs. 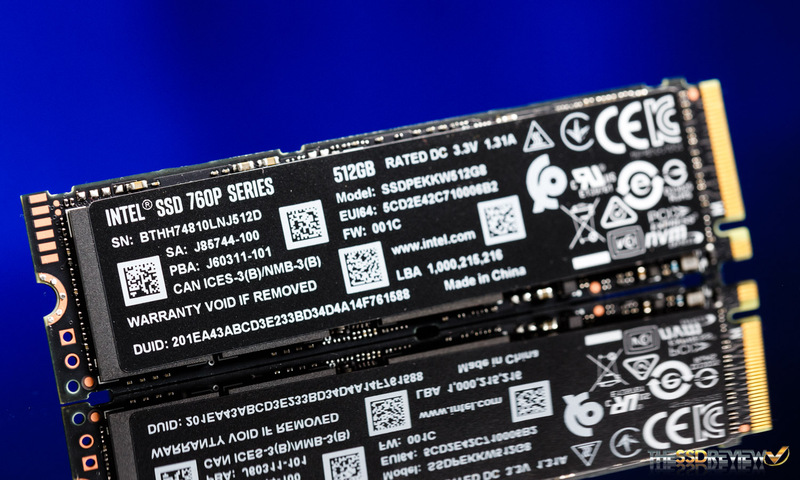 While the business-focused Intel SSD Pro 7600P features Opal 2.0 and eDrive support, the consumer model Intel SSD 760P, just like the 600P before it, does not have Opal 2.0 and eDrive support. It does, however, support TRIM, Secure Erase, SMART, and it has an SLC cache that helps boost write performance. 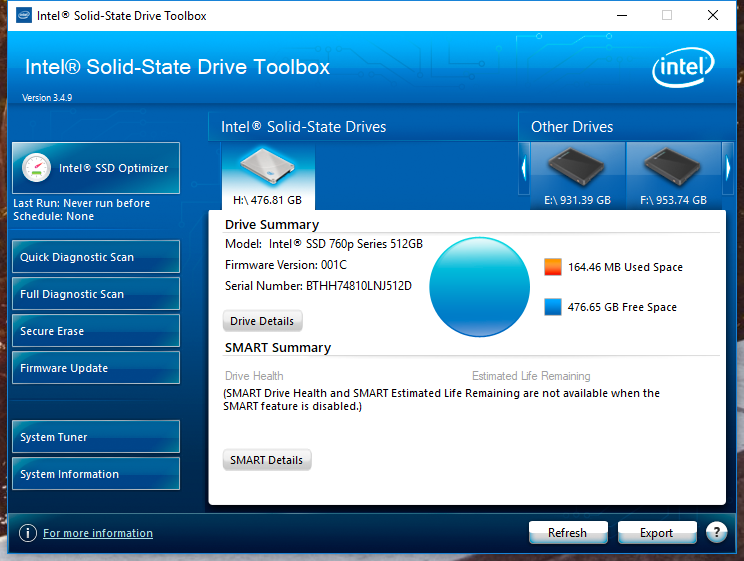 Additionally, Intel provides support for their SSD Toolbox. With it, you can do diagnostic scans, secure erase the drive, update the firmware, tweak your system, and/or just monitor the SSD. With its red, orange, blue and purple warp speed design, the packaging looks strikingly similar to the 600P’s. On the front are just two things, the Intel logo, and the letters SSD7. The business is on the back. There we see the capacity, warranty length, form factor, certifications and compliances for the Intel SSD 760P. Opening the packaging reveals just the M.2 SSD itself, bare of accessories. Intel has finally caught on to the black PCB craze. All we see is black, gold, and white when we look at this SSD, which helps it fit in on almost any color coordinated build. On our 512GB review sample, we can see that there are two DRAM and two NAND packages on the front and there are traces on the backside for two more NAND packages. Each of these 64-layer 3D TLC NAND infused packages is 256GiB in capacity and once we format the Intel 760P, the total usable capacity is 476GB. With the change to a newer NAND they have also opted for a newer controller. The Intel 760P features a Silicon Motion SM2262 controller with custom firmware developed by Intel. This is the first time we have tested a product with this controller as well as this NAND, so it should be interesting to see the results of today’s testing. Continue on to find out how it performs against the competition! How about the maximum power consumption of the Intel 760p during full throttle writing? I want to buy an SSD that consumes not so much power and does not overheat, at a decent/medium speed (faster than a SATA though). I’ve recorded about 5.25-5.5W during a large file copy to itself. Unless you are trasnfering multiple 60-100GB transfers within minutes from one NVMe SSD to another, you wont have overheating issues. Transfering from a SATA drive to an NVMe SSD isn’t going to cause much heat at all. With most drives, you can usually transfer from SATA to NVMe all day without heat issues.